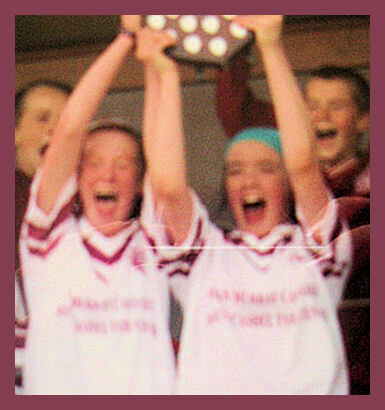 Kilmurry Girls Create History In Cusack Park. 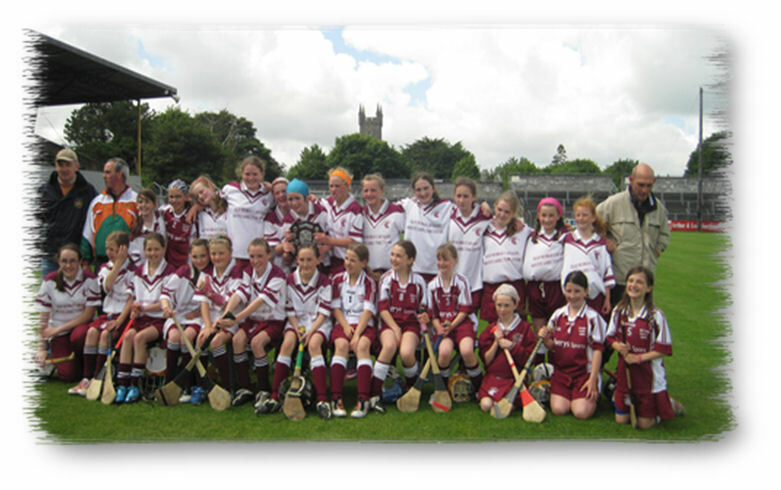 On Wednesday 22nd of June the girls from Kilmurry NS had their school Cumann na mBunscol Camogie final against Barefield NS in Cusack Park. It was a lovely sunny day with just a very light breeze which made conditions just perfect for a Camogie final. starting team being made up of sixth class girls. The team arrived and made straight for the dressing rooms, so avoiding any distractions from friends and family up in the stand. The ball was thrown in and the game began. The first five minutes were uneventful with both teams testing each other with the sliotar going back and forth. Then Kilmurry started to get on top and were getting some really good scoring chances which they were not taking. The Barefield goal keeper was making some crucial saves but Kilmurry were also missing easy shots at goal. Then from two Barefield puckouts which were taken out of the hand (the rest of the game was ground hurling) the sliotar got past centre field and were added to by the Barefield forwards and now the Kimurry Goal was under serious threat. The Kilmurry backline which up to then was holding firm had been beaten and it was up to the Kilmurry Goal Keeper Aoife Barry to stop two goals totally against the run of play. She held her nerve and made two fine clearances and took the pressure off her team. This seemed to spark the coaches on the sideline and some changes were made up in the forward line. Aoibhe Frazer replaced Rachel Swire who had played very well but just was very unlucky not to score, at full forward and while the scores still were not coming the ball seemed to be up around the Barefield goal a lot more often. Coming up to halftime and the score was still 0-0 and people in the stand were beginning to panic. Ella Donnellan then received a midfield pass and started heading towards goal. This time instead of passing it she brought it in with her and just at the edge of the square she took a swing at it. The shot was blocked but she was able to scramble the rebound over the line, Kilmurry had finally scored right on the stroke of half time. The second half started with Kilmurry really turning up the pressure. They seemed a much more determined team now having got a lift from that first half goal. Within five minutes of the resumption Ella Donnellan had two more goals scored and this was followed up with goals by Aoibhe Frazer, Saoirse Young, and Sarah Moloney. The match was entering the last ten minutes and Sarah O’Connell came on and played extremely well. Barefield battled on bravely and tried desperately to score, but the Kilmurry backs Emma Kennedy and Caoimhe O’Callaghan were completely on top at this stage so there was no way through for them. 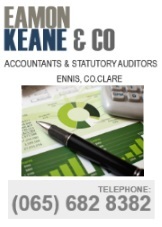 The final score was 8-1 to 0-0 in favour of Kilmurry. The joint captains on the day were Emma Kennedy and Ella Donnellan. finals in the same year. Thank’s to Jim Curran (Principal), Jimmy Conlon, Bernie Agnew, and Pat Donnellan for all their help in coaching the girls. Path to Final: Played St. Senan’s, O ‘Callaghan’s Mills, Whitegate and Ogonnelloe. Semi Final: Played Clooney Dangan.